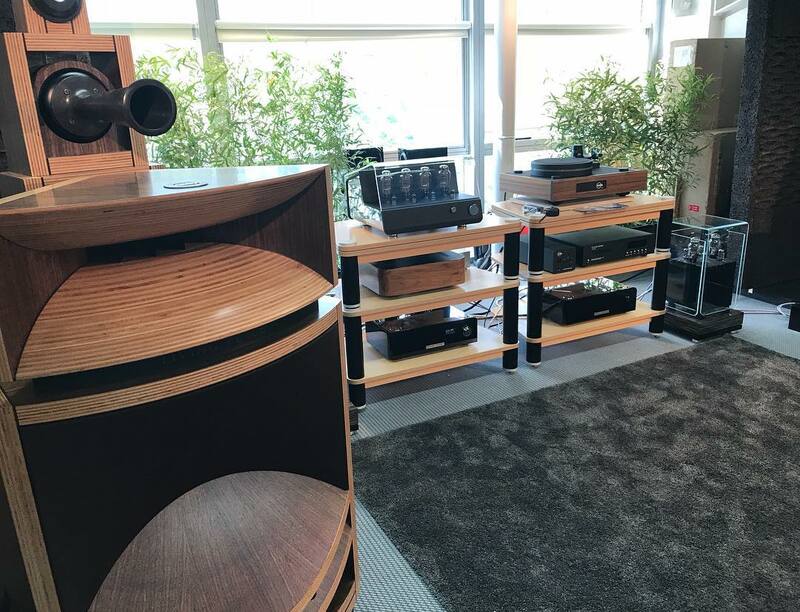 This year marked the debut of SJS Electroacoustics Arcadia amplifiers at the Munich High End show, probably the largest high end audio trade fair in Europe. Two SJS Arcadia Model 3 Enhanced MM phono stage amplifiers were present, one in the Living Voice room and the other in the Engström room. 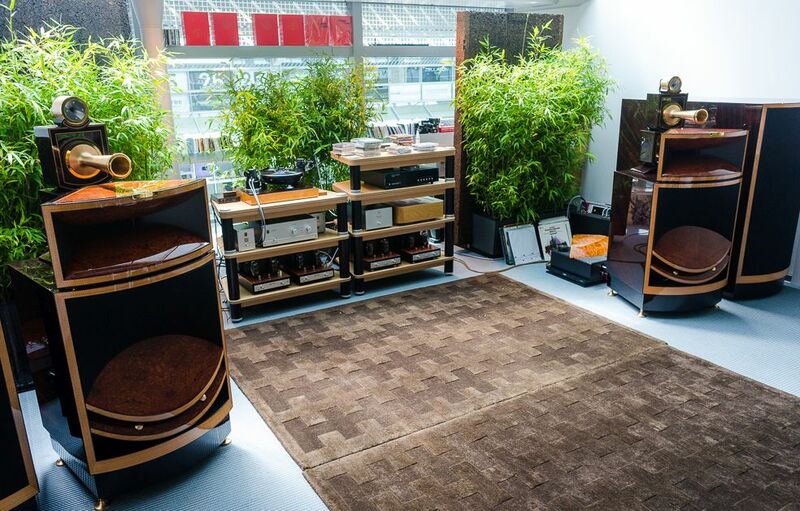 The Living Voice room featured the Vox Olympian and Vox Elysium loudspeakers, partnered with vintage Kondo M77 and Gakuoh amplifiers. the vinyl front end was the Grand Prix Audio Monaco 2.0 turntable, with a Kuzma 4-point tonearm, and a Fuuga MC cartridge connected via a Living Voice step-up transformer to the Model 3 in oak with natural aluminium panels. The Engström room featured the Vox Palladian & Palladiam Basso loudspeakers, partnered with Engström Monica and Lars pre and power amp combination, or the new Arne 300B integrated amplifier. 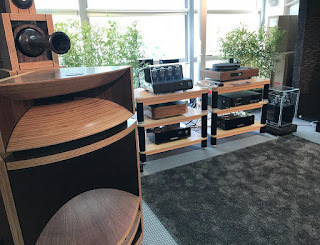 The vinyl front end was a Kuzma Stabi M turntable, with Stogi S 12 VTA tonearm and Van den Hul MC catridge with a Kondo SFz step-up-transformers to the Model 3 in walnut with black aluminium panels. Both Model 3 phono stages used in Munich were a customised version of the Enhanced Model 3. They were voiced in collaboration with Kevin Scott of Living Voice ahead of the show and feature NOS Shinkoh tantalum film resistors and Duelund Audio CAST copper coupling capacitors. SJS Arcadia Model 3 phono amplifiers are available for demonstration at Definitive Audio in Nottingham, or here in Manchester.